If you're still interested, you'll find the stories/episodes in the Episode Archive. If you're unsure where to start, I recommend having a quick look at the FAQ's. It's Saturday night and the theme is revenge. The crew must discover just who is targeting the women of the crew before the perpetrator goes too far. The B4FV Season One episodes Ex Post Facto, Prime Factors and Paris Camera have been edited. "True Q" has been added to "Marill Re-Reads Season Two". "Bittersweet" is finally in the Episode Sizes ranking. Reboot B4FV Season One's information page has been updated since I've (temporarily) restarted working on it. Voyager and their new allies attempt to retrieve an ancient ship from the clutches of their shared enemy. It's Complicated: I'm not happy with the work I've done so far, and the original isn't giving me much to work with. I have a new plan for it. What I've done so far may have to be either edited into the new plan somehow or thrown in the Deleted Scenes section. If you're shy and/or don't fancy talking to a mad woman named after a Pokémon who's been writing Voyager fanfiction for 18 years (who can blame you! ), but would like to let me know in some fashion what you think of the series, you can do so in the Poll Section. The main feature at the moment is Episode Battle. All episodes have been mixed up and chucked into 16 rounds where you pick your favourite. To make it easier to keep up with these, four rounds (a league) will go up for an undecided period of time (I will post when I decide). It's just a bit of fun, I hope. The forums still host the Best Episode of Season Five and Reboot One polls, as well as Reboot Vs Original. So feel free to check those out too. As you've probably seen already, the Reboot project has reached Season Two. Despite a productive first 2/3 months this year which resulted in Season One's completion and the (second) premiere of Two, the season ground to a halt due to my falling very ill. I'm still not well to be perfectly honest, I'm being treated for my illness (I hope) but it's a slow process and I wouldn't be surprised if I got worse before I got better. For the moment though I've been able to write again, and barring a relapse I should be able to chuck at least 5 more S2 reboots before year end, if my averages are anything to go by. Click/press the link below to find out what is up and coming. It's two twisty reveals for the price of one when ol' Q arrives on Voyager in storyteller mode. Meanwhile it's time for the yearly Worst Parent award, and boy are there some contenders. SPOILERS s$$$'s gonna hit the fan, folks. This is the one. Do not go on unless you have read the episode. 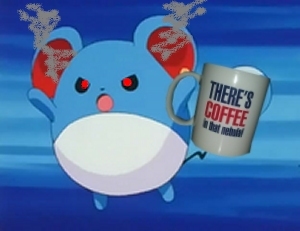 NEXT TIME on Marill Re-Reads Season Two; I was young and crazy ok, probably dru...hyper. OKAY! Before Marill joins a support group, feel free to cringe at older reviews. The latest Reboot episode "Saturday Night" has a word count of 14,873. This is the shortest of the reboot second season, and after the Bittersweet fiasco I couldn't be happier with that news. Previous #89 position was Season Five's Wrong Direction. "Saturday Night" is the second release of 2019. It's the first full one, and mentioning this technicality everytime is already old so that's the last time. Other episode(s) that were released on or around the same date were; the terrible Season Two duo Return of Third Voyager and Territory (24th Feb 2002), Collective Instinct and Holo Q (25th Feb 2001). Fifth Voyager has been pretty quiet for years, but I gotta (re)start somewhere. If you want to chat or simply ask a question, report a problem with the site etc... These are the ways to do that. If you need to report an error only and don't want to sign up to either, that's more than okay, I'm setup for that. Go to the Support Forum's general guest topic and reply with your problem. Guests are allowed to post there. To avoid spambots cluttering the place newly registered users posts are hidden until I approve them. So if you sign up and post, don't worry if it doesn't show up right away. Once I spot it and I can tell you're not a spambot, or you are a very convincing spambot anyway (and believe me, they exist), then the message will be approved and your account upgraded to regular "posts appear immediately" user.